William Powers was born on October 12, 1933 in Corpus Christi, Texas and enlisted in the Army as a teenager. He advanced in the Corps of Engineers, became a paratrooper and in 1969 earned his wings as a warrant officer pilot. Warrant Officer Powers served three combat tours in Vietnam, flying Sikorsky Skycranes each time. Carrying heavy lift equipment into and out of forward fire bases under enemy fire earned him the Distinguished Flying Cross for heroism while participating in an aerial flight against enemy forces and the Purple Heart for wounds received in combat. 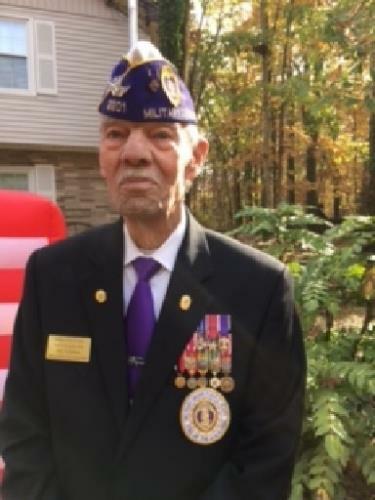 CW4 Powers retired in 1977 to the Huntsville area and was the Commander of the Military Order of the Purple Heart, Chapter 2201. CW4 (Ret) William D. "Don" Powers passed away at his home in Huntsville on June 15, 2017.